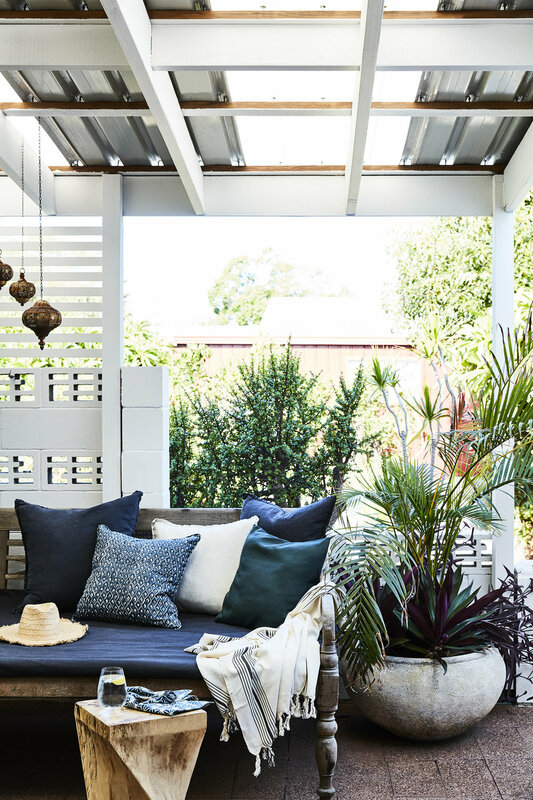 Promising adventure, this Newcastle home is richly layered with the inherent eclecticism of true global style. 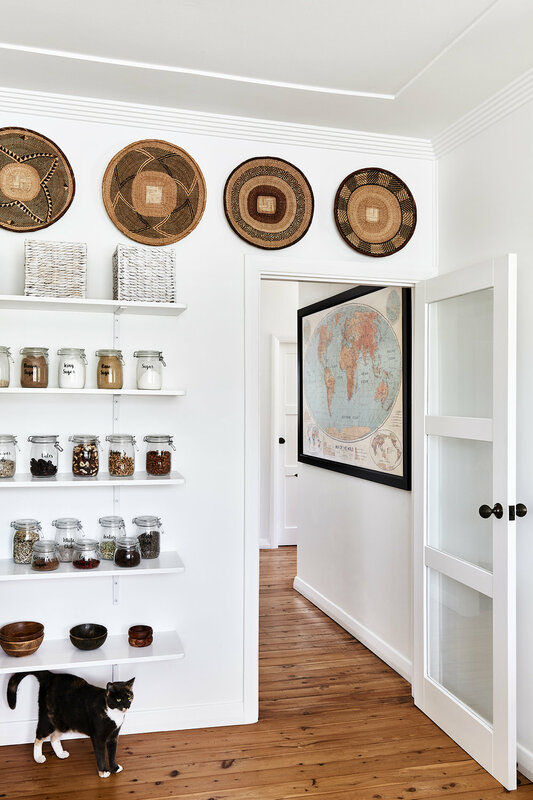 Maddy Evennett has skillfully curated an interior based on her extensive travels, resulting in a personality-packed home that inspires wanderlust and reminiscing over adventures experienced. Rich in natural textures, Maddy has blended the nuances of different cultures into a worldly, well-travelled whole. And while her home is now Instagram-famous (you can follow her at @hutchinson.house), it wasn’t always so. When Maddy and her husband, Ben, purchased the original 1950s house in 2016 as a newly married couple, it was unliveable. It was an ambitious plan that has paid off, thanks to the couple’s skill, perseverance and vision. Structurally, three internal wall changes meant they could create an open-plan kitchen, dining and living area, along with extending the footprint of the bathroom. Consequently the existing kitchen, living room and bathroom were completely demolished and rebuilt. It wasn’t just the design that the couple were responsible for: With the exception of the electrical and plumbing, they got their hands well and truly dirty undertaking all the work themselves – some of which, while Maddy was pregnant with now-10-month-old baby Florence. 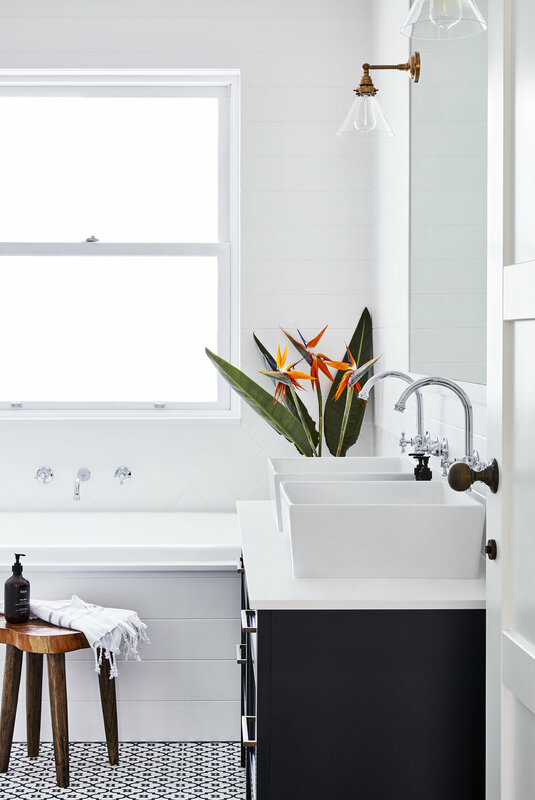 Overall, Maddy believes the pair’s biggest DIY triumph was their bathroom renovation, along with the built-in shelving and fireplace in the living room. 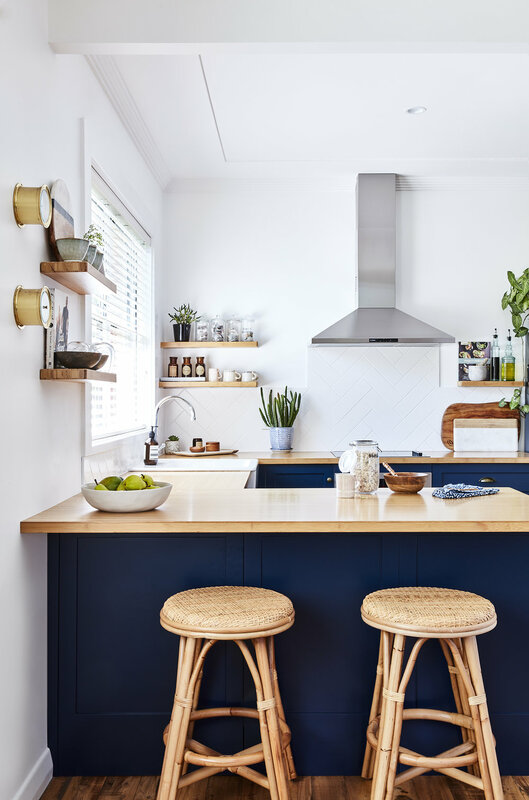 Maddy’s husband Ben custom made the kitchen bamboo bench tops from Bunnings to fit the cabinets. With the off-cuts he made the floating shelves. “One of the things we love most about our kitchen and dining, is the natural light. I adore the contrast of our dark cabinets against the wood and white walls,” says Maddy. Statement features in this kitchen include bar stools from Naturally Cane and cabinets painted in Taubmans ‘Black Granite’. “I wanted the bedroom to feel seamless with the rest of our home with neutral colours and white walls. 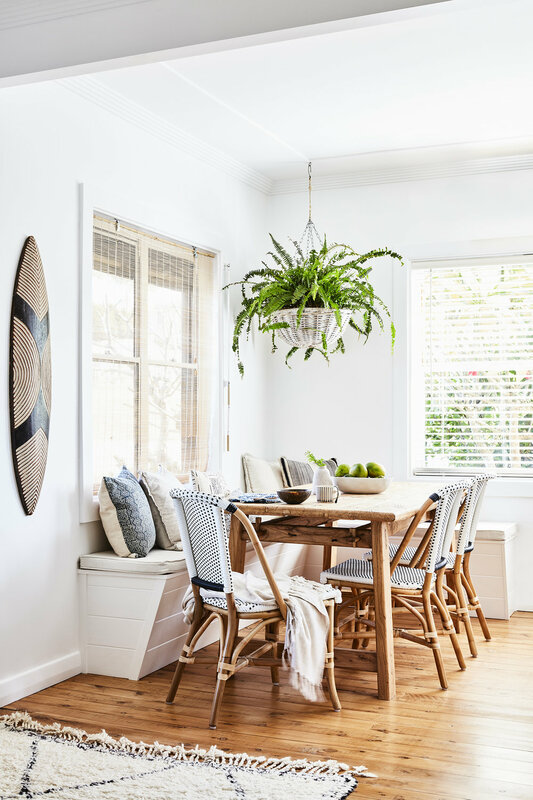 My favourite aspect is the horizontal shiplap wall which adds depth and offers another dimension to the room,” says Maddy. Textiles and rugs are a favourite of Maddy, who loves the warmth and character they bring to an interior. She confesses she has a slight addiction to styling (and re-styling!) her shelves, and it’s here that her true design savvy shines with thoughtful vignettes that truly reflect the couple’s shared history. Want to see this home in print? You’ll find the full home tour in our Escape edition, available through our online shop. Click here to buy.